The Souls series is full of challenging encounters that test players’ patience and skill with precise timing and high stakes. 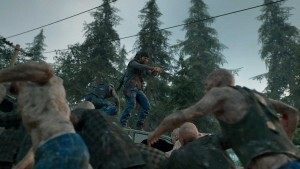 The bosses are the most singular example of this — the many monsters, men, and maladies that you face across From Software’s games are horrific incursions into the stuff of nightmares. The elements that make up a great Souls boss are threefold: the visual design of the enemy, the pacing of the fight, and the lore behind each foe. 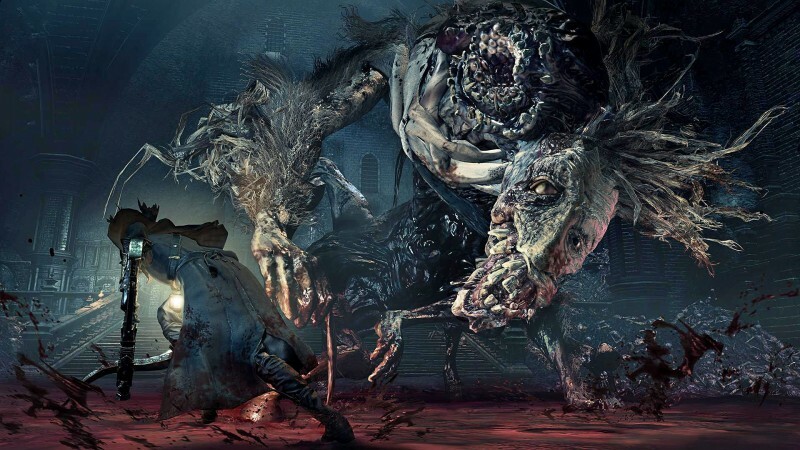 The best bosses from Bloodborne, Dark Souls, and Demon’s Souls are a culmination of all three, and while some rank highly in one or two categories, only the best obtain the highest marks. 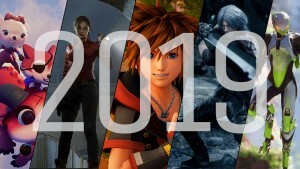 Needless to say, this is full of spoilers for all of the games. Who He Is: The Tower Knight is a fallen knight who became corrupted during a demon invasion that wiped out half the world’s population. Why He’s Great: This hulking wall of a boss battle unfolds on two fronts; upon the ramparts against the crossbowmen and then in the courtyard with the knight himself. 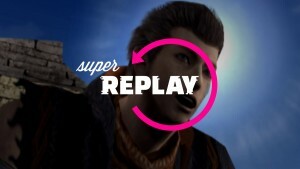 It is the first real challenge in Demon’s Souls and the best example of what to expect from the rest of the game. Alfred’s attacks are easy to avoid once you learn his tells, but the first few attempts provide ample challenge between him and his bowmen. Nailing both the cleanup of the archers and the actual fight is a challenge for newcomers, and overcoming it is the first hit of that Souls dopamine – the rush you get after beating impossible odds. Who He Is: Pontiff Sulyvahn is a conniving and terrible monarch who came to power through manipulation and deceit. He is most likely the cause of the world’s downfall. Why He Is Great: Sulyvahn’s two swords allow him to create wide, sweeping arcs and up-close attacks that are incredibly dangerous due to their elemental effects. Later in the fight, he sprouts wings and creates clones of himself, and players must juggle between them and Pontiff himself. 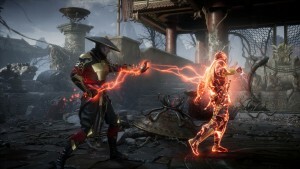 Learning his move-set in his first phase and then applying that to the second stage of the fight is satisfying and feels like you earned the victory through observation and patience. He is lithe and fast, with a thimble-like head and flowing tattered robes. He looks like a ruined pope, and his appearance betrays his true nature as a despot. Who They Are: These two sons are linked in soul (if one dies, they both expire), and together they live a cursed existence atop Lothric castle. Why They Are Great: The two princes are a boss (they act as one being with two health bars) that give many veteran players trouble, with their constant teleporting, multi-phase nature, and high-damage weapons. Lorian attacks with his flaming greatsword. Juggling Lorian and Lothric is challenging, despite them being a single target (the younger brother literally hangs off Lorian’s neck like a toddler) in the actual fight. Avoiding Lorian’s huge fiery sword while he teleports is a challenge. On top of that, Lothric uses this opportunity to fire magic at you. The two brothers are cursed to be together and are intrinsically linked, meaning Lothric must be slain to keep him from reviving Lorian. Who He Is: The Fume Knight was a traitor to the king of Drangleic, the world in which Dark Souls 2 takes place. He left his service after clashing with a fellow knight and became corrupted. Why He Is Great: The Fume Knight is the toughest boss in Dark Souls 2 and is considered by many to be the hardest fight in the entire series. 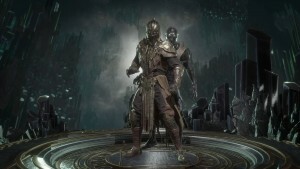 This has been corroborated by From Software, which stated that players have a 93-percent failure rate while fighting The Fume Knight. The battleground is ostensibly a tomb for his dead lover, and he defends her grave with every ounce of his being. 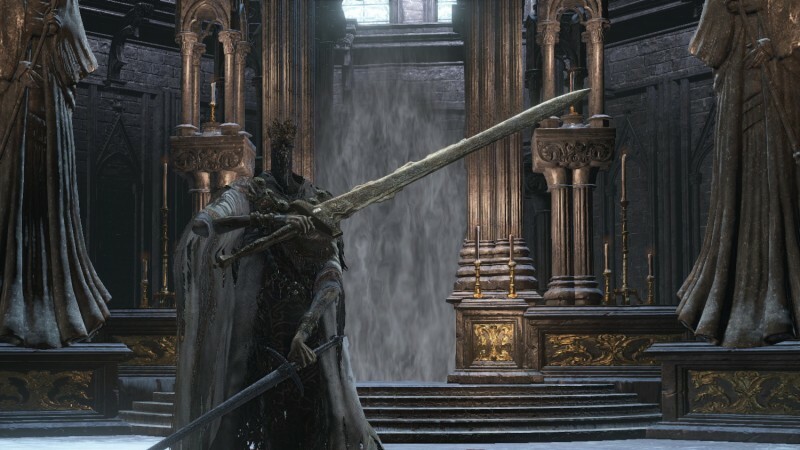 Once you get in the arena, his two swords give him a wide range of combos that mix the stabbing attacks of his longsword and the huge arc of his greatsword. 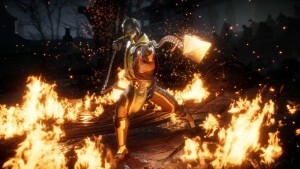 Dodging his attacks is key in the second phase, when he drops his longsword and bathes his great blade in dark fire, his damage output increases, and single strikes can kill you. The fight with the Fume Knight feels like carving a marble statue, with selective and purposeful strikes slowly chipping away until your eventual victory. Who He Is: The Nameless King is the firstborn of the lord of the gods Gwyn. He was a warrior in service of his father, but he eventually chose to switch sides and oppose him, joining the dragons. While neither side was right, his eventual turn led to his exile by the other gods. 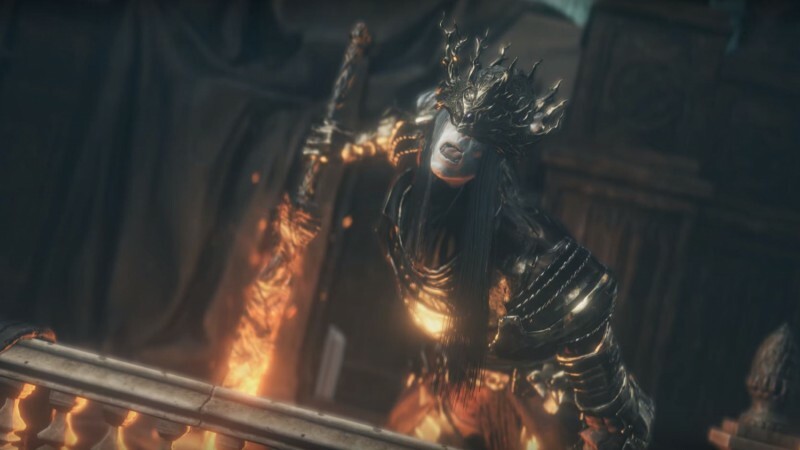 Why He Is Great: The Nameless King quickly became famous for being the toughest fight in Dark Souls 3. The Nameless King and the player go blow for blow on a bed of storm clouds as he starts the fight riding a dragon. When the second phase kicks in, the fight truly starts and The Nameless King takes you one-on-one. The king’s combos are fast and will stun-lock you, finishing you off easily, but besting him is one of the most satisfying moments in Dark Soul 3. 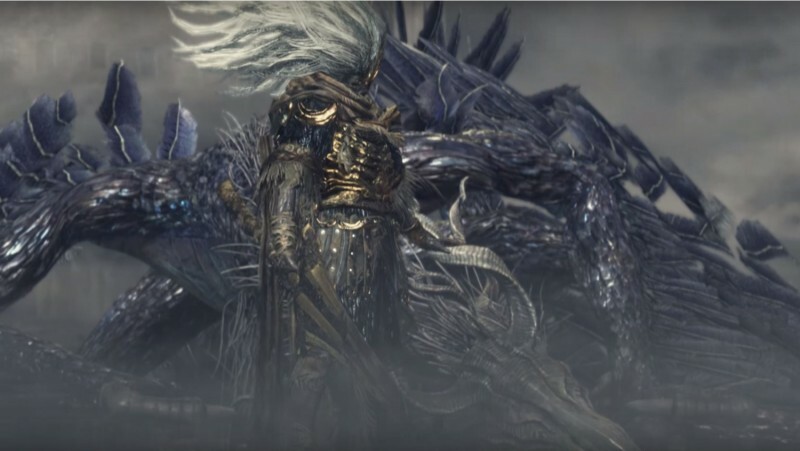 The Nameless King is a sight to behold, and he is a rare fight where the amazing spectacle of the fight is bested by the mechanics. Fighting in a storm on the clouds, avoiding his dragon, and seeing him absorb the beast into his weapon is undeniably amazing, but it is the perfect timing and teeth-clenching intensity of the fight that take center stage. 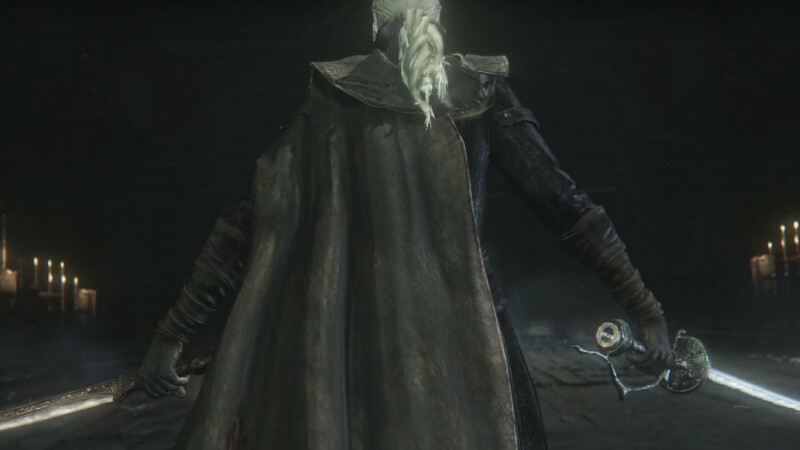 What It Is: The Orphan is the child of Kos, a god who was killed during a research expedition that took place in the fishing hamlet where it was born. The Orphan is a god like its mother and is worshipped and protected by the people of the fishing hamlet that surrounds the area. Why It’s Great: The battle takes place in an unremarkable corner of the world, which makes it more surprising when you come across this wretched spawn. A nondescript beach in a small cove serves as the battleground for the fight against this blasphemous grave-birth. As you stumble across the hideous corpse of Kos, the Orphan slithers out of her innards, dragging much of its dead mother with it. The grotesquely thin, pale child resembles a man and holds its own placenta like a blade. It is a wild and unpredictable creature, screaming at you as it flails around violently. Later in the fight, it sprouts a pair of membranous wings and begins to pelt you with errant bits of flesh. Between its erratic and lightning-fast assaults, incredible range, and unnerving design, the Orphan always puts you on your back foot and keeps you there until the very last blow. 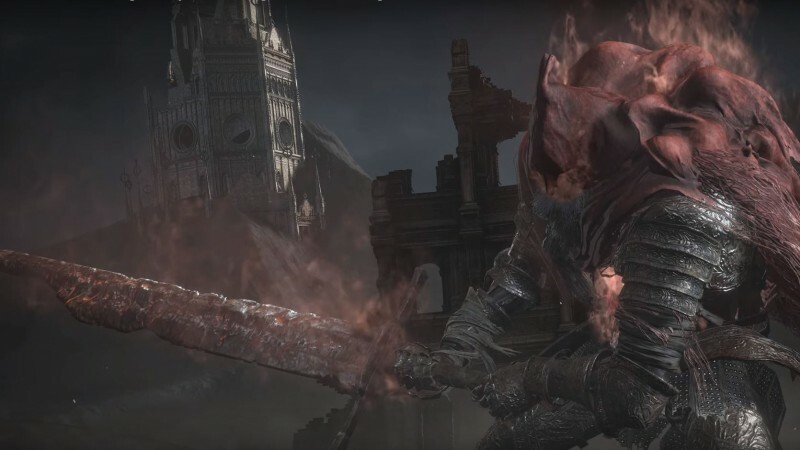 Who He Is: Gael is one of the oldest characters in Dark Souls and tries to devour the souls of the world to save his home. Why He’s Great: Gael is quick, unpredictable, hits incredibly hard, and has a huge health pool. He skitters, crawls, and leaps about on all fours and has grown immensely, bloated by the blood of those he consumed. His ensuing transformations change the fight into a clash that borders on sensory overload. The struggle between the player and Gael has an incredible progression that culminates in a challenging but fair fight. The arena is the perfect place for a final clash at the literal end of the world; the surrounding lands are ash and dust, and the windswept dunes of decay are the only thing for miles outside of the ruins of ancient cities. The war between these two undead straddles a knifes edge with its fine balance of tone and challenge. Who He Is: Sif was the companion to a great knight who sacrificed himself to save him and defends the warriors grave to this day. The giant wolf clenches his fallen masters weapon in his jaws, using it to ward off any who would defile the site. Why He Is Great: Sif is one of the most iconic fights in all of Souls and is an early example of the depth behind each of the bosses. 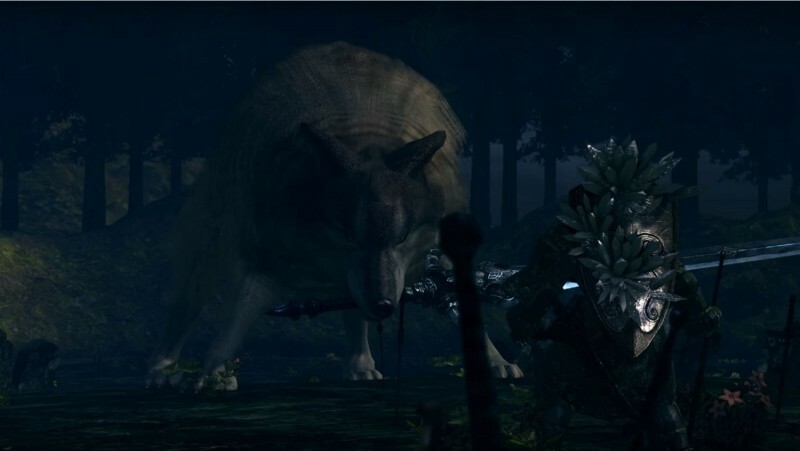 There are few things in Souls as obviously cool as a gargantuan wolf holding a weapon. As you size each other up, the surroundings reveal past duels, and the bodies of so many other fallen warriors are impaled in the dirt. Late in the battle, the wounded beast limps toward you, injured and desperate to defend the Artorias’ final resting place, a visual indicator that what you are doing is not necessarily the right thing. The fight with Sif helped propagate the unending thirst for new lore that so many fans of the series have. 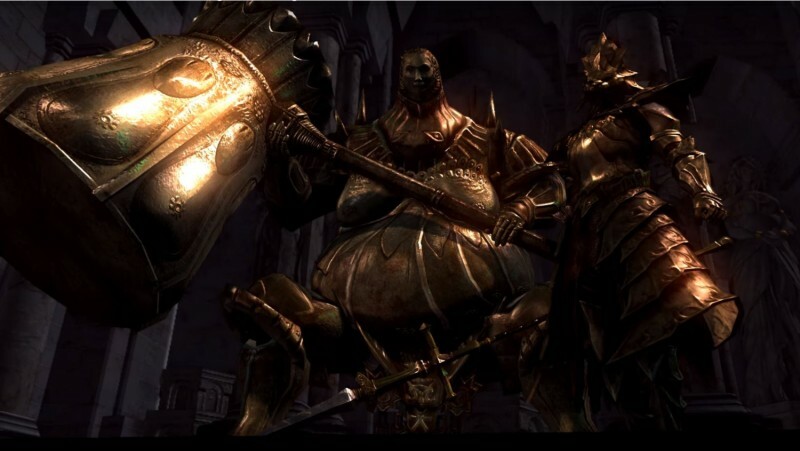 Who Are They: Ornstein and Smough are the last warriors defending a great city for their forsaken lord. Why They Are Great: Ornstein and Smough are the chocolate and peanut butter of Dark Souls bosses and the best two boss fight in the series. If the Asylum Demon is the first quiz for players and the Bell Gargoyles are the mid-terms, then Ornstein and Smough are the final exam. Once players take them down, they are ready for anything the games can throw at them. The two perfectly complement each other, with Smough being hard hitting and slow and Ornstein quick and merciless. Their arena, the Anor Londo Cathedral, is gorgeous and bathed in iridescent sunlight. Unfortunately, the beautiful setting betrays the nightmare challenges within. Ornstein and Smough are the most easily recognizable bosses in the series and have become referenced far outside of their origins. The fight remains challenging and incredibly satisfying years later, and even veteran players can’t let their guard down. Who Are They: The Abyss Watchers were a group of warriors dedicated to stopping the spread of an evil corruption that took over the minds and bodies of those it encountered. Their arrival was a terrible omen as they would topple empires at the first sign of evil. Why They Are Great: The Abyss Watchers are designed like a one-on-one fight with an equally sized human opponent but starts as a multi-boss fight. 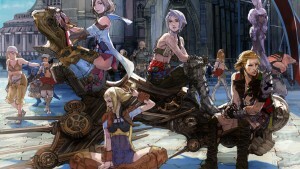 They have phases and their fight ramps up increasingly to an all-out battle with a single warrior. The fight balances the lore of the Watchers with great mechanics as they scrap amongst each other while also contending with you. Once enough are felled, a single, much more powerful Watcher rises, and the real clash begins. 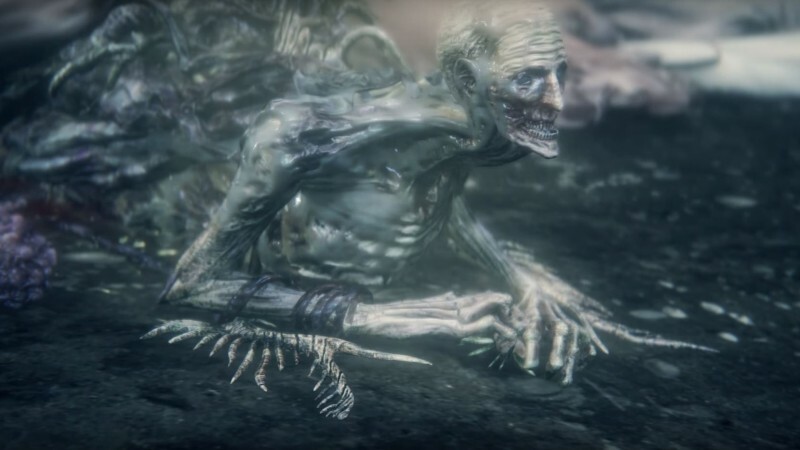 They are the most obvious example of Bloodborne’s design seeping into Dark Souls 3, as they are emaciated like the enemies and hunters in that title and have a preternatural dread to their movements and attacks. When you arrive, they are killing one another. When they turn to you, there is a palpable sense that it is going to be a brutal fight. As you and the other Watchers stumble and trade blows over the corpses of the rest of the legion, you can’t help but feel a tinge of sadness for the once honorable force. The Abyss Watchers are a tragic tale, and they are ferocious to the last while retaining their honor, despite the taint of The Abyss. Who She Is: Lady Maria was one of the original beast hunters who was left scarred after spearheading an expedition at a fishing hamlet. There the researchers experimented on and tortured the citizens for their arcane knowledge and these events left Maria disgusted with the other hunters and those leading the mission. She left the other beast hunters and locked herself in a clocktower to ward off those trying to get to the hamlet. Why She Is Great: Lady Maria is the epitome of an epic one-on-one fight. Her battle feels like a dance between two incredibly skilled warriors who are at the height of their visceral craft. She moves like lightning and strikes quickly, parrying and dodging with ease — it is a true adrenaline rush. She grows more and more desperate to keep you away from the Fishing Hamlet and even resorts to the blood arts (the act of using beast-blood to enhance weapons) she once hated. 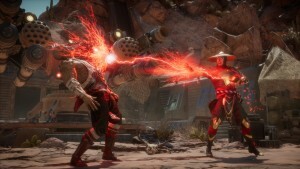 It is one of the most brutal and bloody fights in a particularly bloody game, and while it may start as duel, it ends as a knock-down, drag-out fight to stop another disastrous incursion further into the nightmare. The Astral Clocktower is one of the most amazing arenas in the series and gives way to a visual twist unlike anything in Bloodborne or Dark Souls. 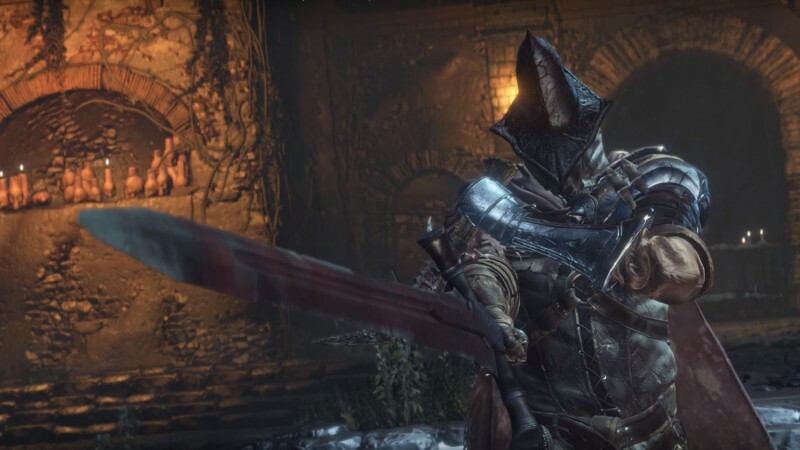 Going blade-to-blade with her feels like a test of your skill as a hunter, and passing it is one of Bloodborne’s best moments. 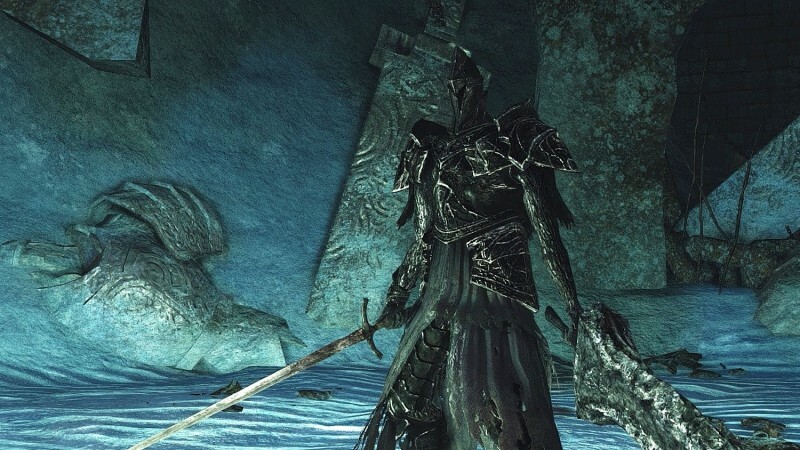 Who He is: Artorias The Abysswalker is a famed warrior who was dedicated to stopping the abyss, a dark evil that corrupted those it took hold of, making them turn on their allies. He fought alongside his companion Sif, and eventually succumbed to that same darkness, sacrificing himself to save his wolf. Why He Is Great: Unlike many other characters who seem to operate in a vacuum, Artorias and Sif have a closely intertwined story. When players enter Oolacile, they are in the past, and it had been assumed that Artorias defeated Manus and stemmed The Abyss. In actuality, it is the player who did so by visiting the kingdom at its fall and killing the corrupted Artorias. Players defeat Manus and relieve Artorias of his corruption but are forgotten in history. 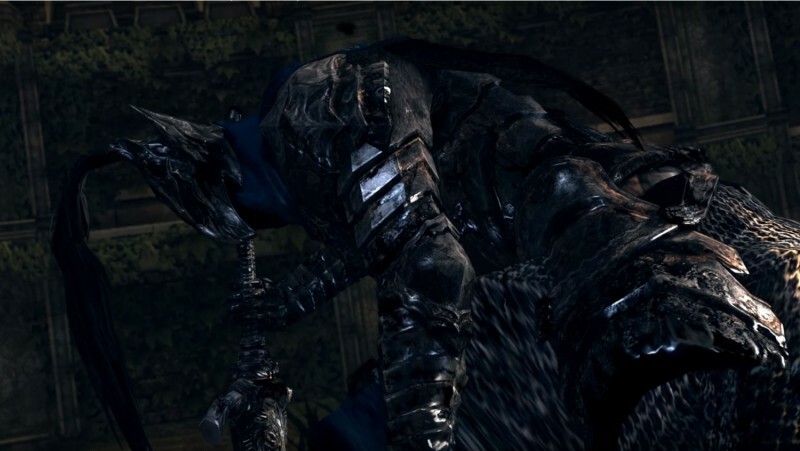 The fight with the corrupted knight contains weight because of the preconceived notion that he was the hero who saved Oolacile, but when we meet him, he is taken by The Abyss and must be put down. The melancholy music that plays over the battle, in a series that typically stresses players with its music, sets the mood for what is a tragic and epic fight. He is relentless and fights to the best of his ability. In the end, bring him to rest is a mercy. Who He Is: A great warrior who succumbed to his lust for blood, Ludwig was cast into a nightmare realm where the beast hunters fight endlessly, eventually becoming hideous and terrible beasts. Why He Is Great: When Ludwig arrives, it is unlike any other creature we have seen thus far. Part man, part monster, part eldritch terror, Ludwig has turned into something altogether nightmarish. A writhing mass of mismanaged limbs that sprout from his body adorn the horse-like abomination, and many extremities are of either hand or hoof. Ludwig is truly terrible to behold and is a towering atrocity of incredible speed and violence. He attacks and screams, flailing in every direction and kicking wildly. Ludwig’s arena is a mass grave of victims, and the fight takes place in inches of blood, as you roll and splash through it to avoid the one who spilled it. Once he is finally brought low, he regains a semblance of humanity and takes up his Holy Moonlight Sword, only to bring it down on you. His second stage is more difficult than the first, and this incredibly tense monster fight turns into a swordfight with a great warrior. Ludwig, The Accursed perfectly mixes an amazing fight with a large monster and a swordsman, and it is bolstered by amazing lore, an incredible arena, and the reward of the iconic Moonlight Sword itself. 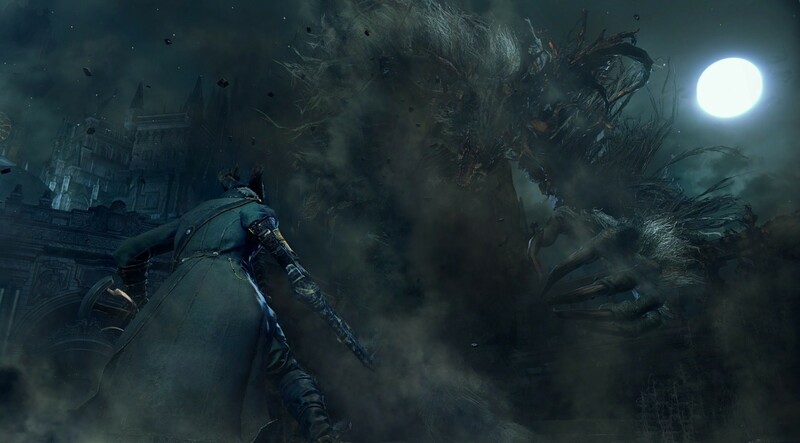 His fight is the best fight in Bloodborne and the best in the whole series. The Souls series has some of the best bosses in gaming, and From Software is bringing that skill to its next project, Sekiro: Shadows Die Twice. 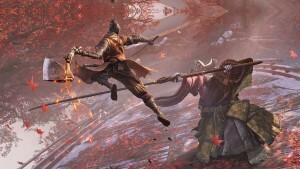 However, the studio is shaking up its formula; read our feature on why Sekiro isn't a Souls game. 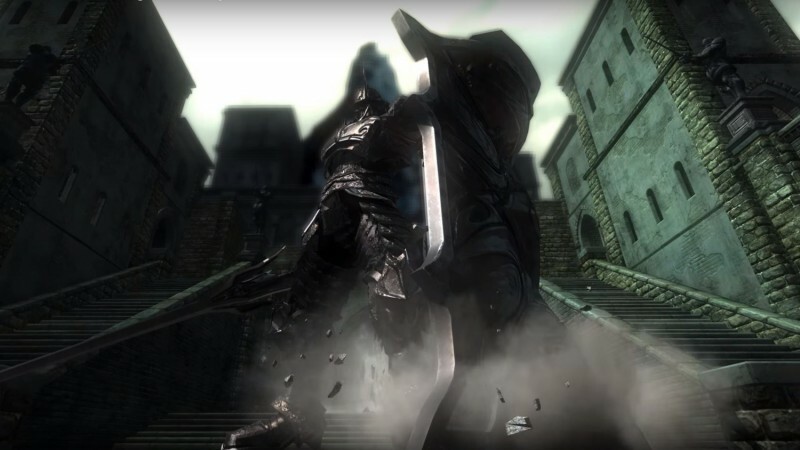 For a look outside of the world of Dark Souls check out our feature on the 10 video game boss battles you should have lost.